We specialize in growing Phormium for the export foliage market and Phormium plants and big kauris for the domestic market. We help and advise you on planning and landscapin­g your garden or farm and caring for your plants. We can ship phormium plants i all over NZ. We are available all the time but nursery visits need to be organized with a phone call. These iconic native trees look absolutely magnificent when planted alone or in a grove. The young trees grow very fast and take up little room even in a smaller garden as they grow up rather than outwards. 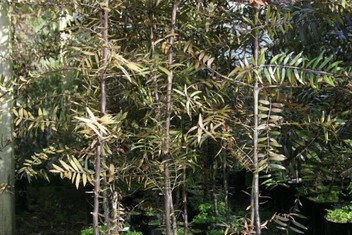 KAURI are planted in PB28 bags, and are 1.5m to 3m high. Prices are from $30.00 to $65.00 + GST depending on size.